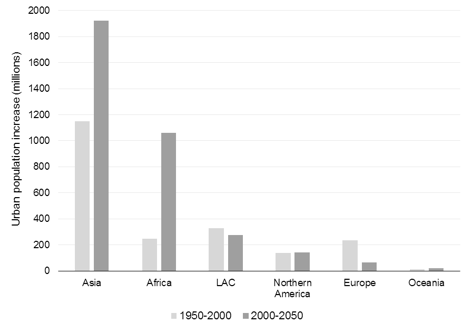 These trends mean that when it comes to eliminating poverty and hunger, improving health and education services, ensuring universal access to clean water and adequate sanitation, promoting economic growth with decent employment opportunities, and creating ‘responsible consumption and production patterns’ (and achieving many other goals) urban centres are on the front line by default. Figure 2. 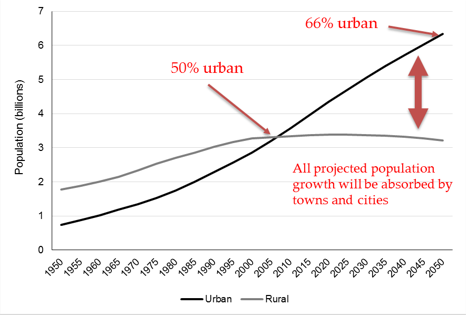 Estimated and projected urban population increase by region, 1950/2000 & 2000/2050, Adapted from Fox, S. & Goodfellow, T. (2016) Cities and Development, Second Edition. Routledge. But cities are complex political arenas prone to the kinds of conflicts that can thwart ambitious visions for transformative development. To appreciate just how difficult it can be to achieve seemingly obvious and desirable improvements in cities it is useful to examine some practical challenges. Consider the goal of ensuring access to clean, affordable water for all (Goal 6, Target 1; Goal 11 Target 1). In cities across Africa and Asia a significant share of households live in informal settlements that lack piped water infrastructure. As a result, most residents rely on water provided by private vendors who sell water by the bucketful from tanker trunks or standpipes that they control. Perversely, the poor often end up paying a significant premium for their water on the open market, while more fortunate residents who are connected to municipal infrastructure pay far less. This perpetuates inequality, both between socioeconomic groups and between men and women (as women generally bear the burden of water collection in such contexts), and it also means that there are groups of people with fairly strong incentives to resist infrastructure investments: the water vendors. And these vendors sometimes take aggressive steps to protect their captive markets and thwart infrastructure development. A similar dynamic is often at play when it comes to upgrading informal settlements more generally. In many cities poorer households do not have formal (i.e. legally binding) tenure security but rather pay some form of rent to a third party in return for protection against eviction. This form of ‘land racketeering’ is often undertaken by the very politicians and bureaucrats who should be seeking to improve citizens’ lives. In other words, urban underdevelopment creates profitable opportunities for some, which in turn creates interest groups opposed to change. But even rich cities, with well-developed physical infrastructure and formal tenure arrangements, often suffer from political gridlock that impedes progress. Consider the city of Bristol in the UK. Bristol was recently voted the best place to live in the UK, yet the city also suffers from dangerous levels of air pollution, which is linked directly to debilitating levels of traffic congestion in the city. While Bristol’s transport woes have long been recognized, it has proven fiendishly difficult to tackle the underlying problem: a lack of metropolitan-scale transport planning and investment integrated with land use plans. This is due to a legacy of ‘horizontal fragmentation’ and ‘vertical dependence’. 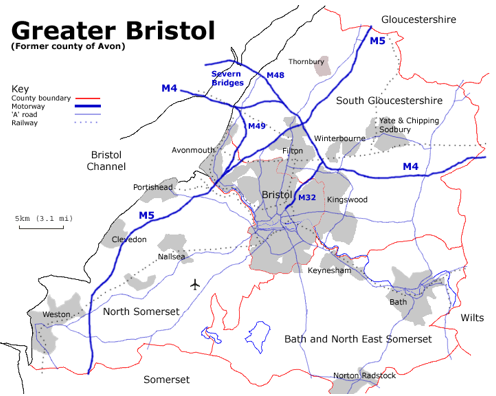 Horizontal fragmentation refers to the fact that Greater Bristol—i.e. the functional area of the city as defined by daily commuter behaviour—is home to over 1 million people spread across four different local government areas, each with its own budget, council, transport planning processes, etc. As Figure 3 clearly shows, the local government boundaries (in red) carve up this functional urban region into four artificial parts). Indeed, in some places, such as north Bristol, local government boundaries run straight through clearly contiguous built-up areas (represented as grey). The challenge of coordinating planning and investment across four councils is compounded by the fact that in the past any major infrastructure investment needed to be approved and funded by the UK central government (I.e. the problem of vertical dependence). This support is not necessarily forthcoming. An ambitious plan tabled around the turn of the millennium to integrate city transport with a tram network, and make the whole system more inclusive for low income residents, was rejected by central government. This is a prime example of how political challenges in wealthy countries impede development progress. In sum, there are significant political obstacles to progress in poor cities and rich cities alike. But this doesn’t mean that progress is impossible. In fact, recognizing and understanding these political complexities is helpful in identifying effective courses of action, whether as citizens, activists or policymakers. I doubt we will fulfil the aspirations of SDG 11 in a convincing manner by 2030, but I am hopeful that progress can be made if we approach the challenge with our eyes wide open to the political dynamics that could undermine our efforts. 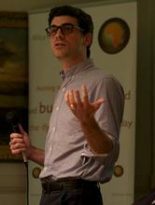 This entry was posted in Environment, energy and climate, Governance and public services and tagged Bristol, city, resilient, SDG, sustainable development, transport by policybristol. Bookmark the permalink.